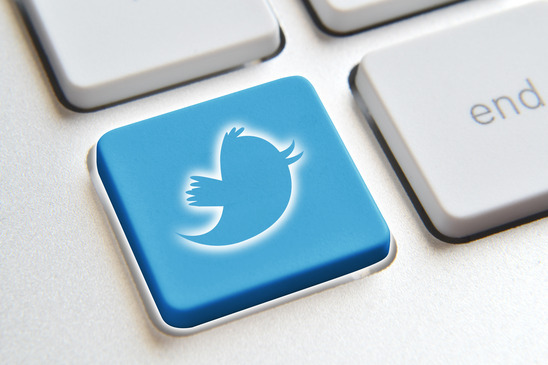 If you’re marketing on Twitter, you want to make sure you’re doing it right… right? If you aren’t sure about what you’re doing, or are simply hoping to get more out of this social network, you can start by utilizing these five quick tips for marketing. They can help get you on the right path, and steer you away from some of the more common mistakes. Hash-tags are wonderful, incredibly useful marketing tools when used properly. But if you aren’t using the right hash tags, they aren’t going to be doing you any good at all. Do a little research and see which of these tags are trending, both overall and in your specific business niche. Try to make good use of them, as these are what people are searching for and talking about at that time. Trending hash tags can change each day, so make sure you update your research often. A huge mistake people make when marketing on Twitter is the overuse of hash tags. Marketers naturally assume that more is better, because it means your posts can get found easier. Unfortunately for those utilizing this technique, however, this is wrong for one big reason – posts with an abundance of hash tags are annoying. Instead of garnering you more followers on your account, they can actually cause a considerable amount of un-follows. It does you no good to bring new people in if you are losing them at the same rate. Most experts agree you should only be utilizing one or two relevant hash tags per post. Keep it to that, and you’ll still be bringing in new followers – but without losing current ones in the process. Many people find the 140 character limit on Twitter to be frightening, but there really is so much you can do with it. Mix things up. Start by sharing useful content in your own voice, and re-tweet content you think your followers will find useful. Post a mixture of videos, images, and written content so your followers never grow bored. Also try and make good use of keywords or words that your target audience might search for. These aren’t the same as hash tags, which are pretty much only useful for Twitter itself. Making proper use of keywords can make your content visible through search engines as well. Making the right connections on Twitter, or any site for that matter, can be truly invaluable… if you make use of them anyways. It doesn’t help to simply follow someone valuable, or have them follow you. To be truly worthwhile in terms of marketing, you have to interact with them. Start conversations, re-tweet their content, favorite their posts. This way, your profile will show up to their followers. If you have something truly worthwhile to say, you could garner yourself quite a bit of new followers this way, and you’ll be allowing your connections to benefit from your profile in the same way. It’s a win-win situation. Auto-tweeting refers to any tweet which is automatically posted from something else. It could be an application, website, another social profile… whatever. Just stop it, because it can be incredibly annoying – especially if you do it repeatedly. If someone sees that you have a whole bunch of auto-tweets in a row, they’re only going to skip over all of them, so your content doesn’t really get any views. If it happens consistently, you may even lose some followers. There are a few exceptions to this rule, of course. Having posts automatically generated for your blog content is a good example. This is fine, as long as you’re only posting to your blog once or twice per day at a maximum. Otherwise, it’s best to just steer clear of any automatically generated posts. If you utilize the five quick tips listed above, you’ll be on the right path to making your marketing really count on Twitter. You’ll also be avoiding a few costly mistakes that many marketers make. While this isn’t an all-inclusive list, it is definitely a good place to start.